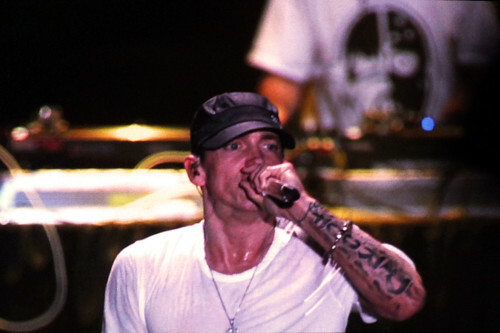 Why is rap artist Eminem considered to be such an impressive lyricist? And how does that help my students learn literature, history, current events, science, or mathematics? So how does that help my students learn literature, history, current events, science, or mathematics? closely read the texts you assign? reflect on what they read while they read? make connections between assigned texts and other sources, including multimedia from across the web? actively participate in class discussions that continue beyond the time and space of the class? get formative feedback from you and their peers; perhaps even from other learners beyond the walls of your classroom? Genius.com (originally rapgenius.com) started with a passion for sharing how different people understand rap lyrics by adding personal digital annotations. It grew into an effort to collaboratively share and interrogate any web based content using text, images, videos, and links. While it began as an effort of rap lovers to better understand the meaning behind rap lyrics it wasn't long before the community grew to include the artists themselves and expanded into other forms of music, poetry, literature, news, history, law, sports, and any other web based content. Genius is less of a website destination for people to collaboratively annotate web based text and more of a portable web based tool building a shared understanding of the meaning of any content at all. For example, the animation below shows Lewis Carroll's Jabberwocky annotated and analyzed over time on genius.com. Below that, you'll find the embedded article to which you can contribute your own analysis. A number of educators (K-12 and Higher Ed.) have taken to hacking what was once a venue only for rap lovers and making it a dynamic learning platform called Education Genius. Genius includes modern novels such as: Area X: The Southern Reach Trilogy by Jeff VanderMeer (who added his own annotations to the discussion), the Seven Ages of Man monologue from Shakespeare's As You Like It, The Great Gatsby by F. Scott Fitzgerald, and the complete works of Charles Dickens. There are special genius.com education accounts for educators. Those links to my class wiki solution manuals may be a little dated; if I was doing this today I'd deliberately weave in more of the game mechanics I mentioned above. You can apply the process described here, and on my class wikis, with pretty much any level of math from at least grade 7 upward. If you do, let me know how it goes. The short answer is: It depends? 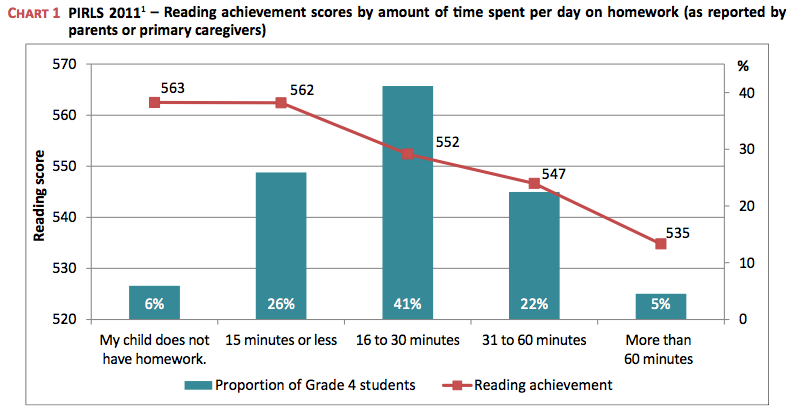 It turns out that spending more than 15 minutes a day doing "reading homework" negatively impacts reading achievement for students in grade 4. 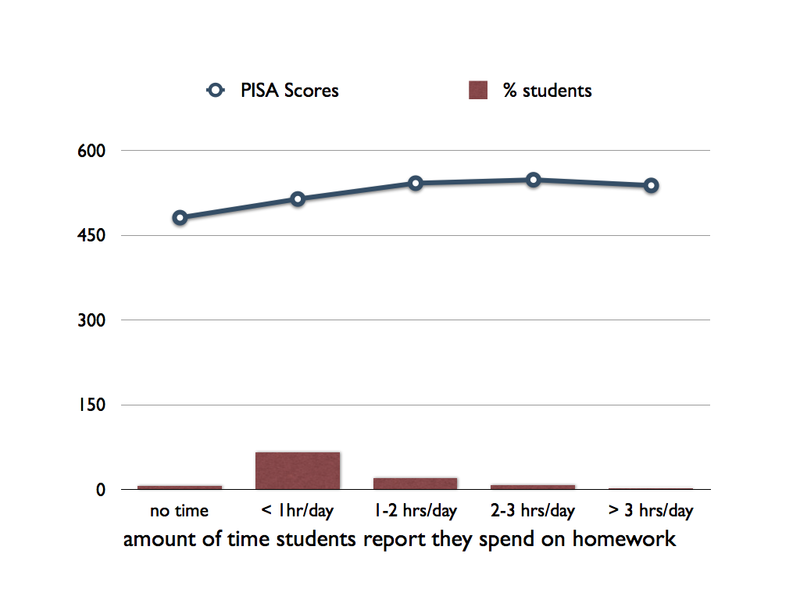 The blue bars in the graph below show what proportion of students typically do reading homework for various lengths of time. The broken line graph shows the same students reading achievement scores. The report quotes Canadian teachers: "more does not necessarily mean better." 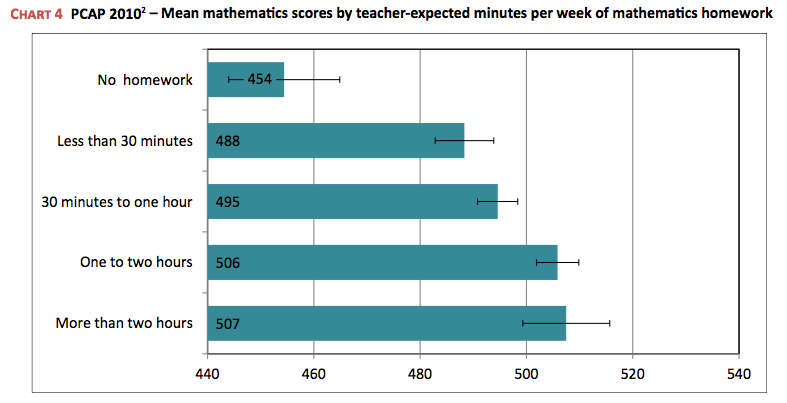 Students who don't do any math homework have the poorest results on the PCAP test. After about 30 minutes of homework per week, students experience diminishing gains in terms of their results on the PCAP test. Numeracy Note 1: Look closely at this graph. The scale goes from 440 to 540. The differences between the bars would appear much smaller if the graph started from 0 on the left and went to 540 on the right. This suggests that while there may be some gains to be had from homework in the middle years those gains may be rather smaller than implied visually by this graph. The same is true for the graph above (it goes from 520 to 570 rather than 0 to 570). Again, like grade 8 students on the PCAP test, 15 year olds who do no homework have the poorest achievement scores on the PISA test. 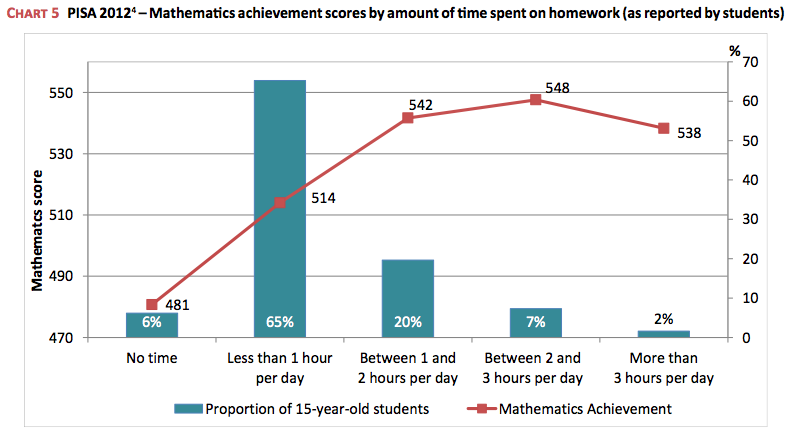 And similarly, after about an hour a day homework offers diminishing returns on student achievement scores. With that said these results echo much of the research results on homework: modest gains for older students. Numeracy Note 2: This graph shares the same issues with the scale represented (it displays values from 470 to 550 rather than 0 to 550) as those above. The left hand scale is measuring PISA test scores. The percentage scale on the right goes from 0 to 70; it measures the percentage of students who do different amounts of homework each day. The scales measure different things. Had the right hand scale started from 0, the right hand percentage scale, also starting from 0, would leave a rather different visual impression on the reader. These last three graphs represent the same information. They have quite different visual impacts. Go back and take another look at the first graph above; notice anything? See also: Homework: What the Research Says(pdf) by Harris Cooper and Rethinking Homework(pdf) by Cathy Vatterott. How much homework did your teachers assign when you were in school? How much of that homework did you do? 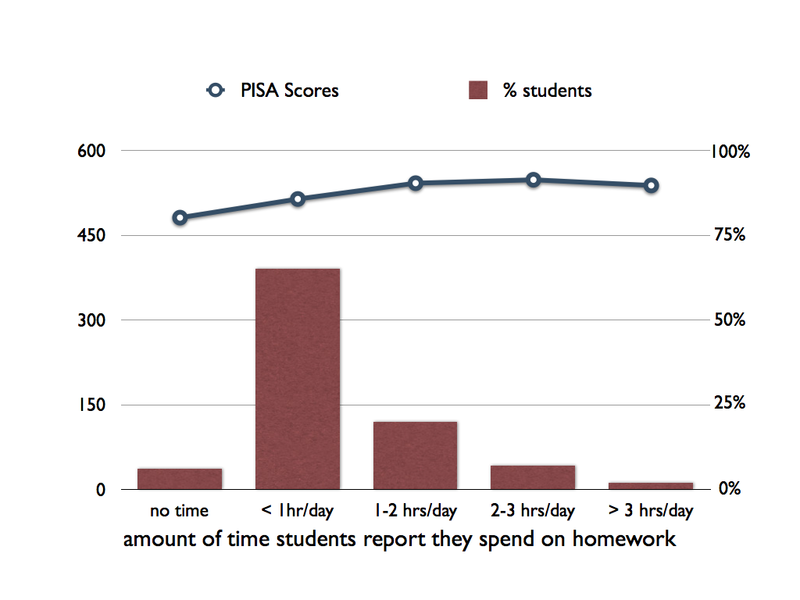 How much homework do you typically assign to your students? How much of it do they typically do? 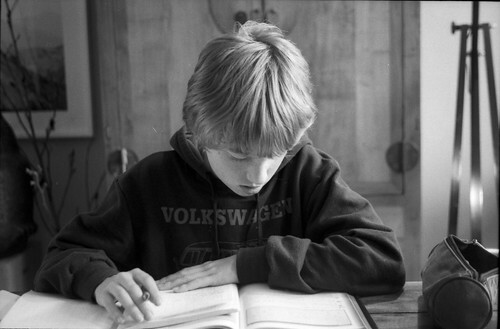 How do you think homework best supports student learning? While Digital Citizenship Week has come and gone it's important to keep the conversations going. If you missed Digital Citizenship week it's never too late to get started. Here's a practical hands on tool kit shared on Craig Bandura's blog he calls The Digital Citizenship Survival Kit. It's an excellent way to use physical prompts and metaphorical thinking to help kids understand how to behave ethically online. While Craig uses this kit with students in kindergarten through Grade 8 it'll work well with students of any age. I've included Craig's original list of items and a few other suggested by people who commented on his blog. I've also added a few of my own nuances and additional resources for teachers to use with their students. Padlock: Padlocks are used to secure the stuff kids keep in their lockers. 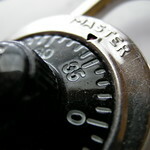 It's also a reminder to keep your online passwords secure and private to protect your online stuff. 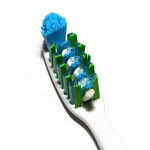 Toothbrush: In the same way you wouldn't share your toothbrush with someone else, don't share your passwords. 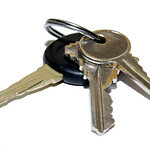 House Key: Younger students can be reminded that their passwords are like their house keys; only to be shared with trusted family members like their Mom and Dad. 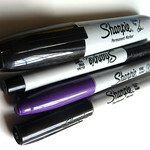 Permanent Marker: Remember that what you "write" online stays online. Even SnapChats aren't really deleted when you know that apps like SnapHack exist. 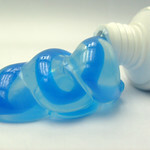 Bar of Soap: Try to keep it "clean" online. You can check your social media footprint using free sites like Reppler; try it now. 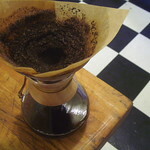 Coffee Filter: Don’t believe everything you find online, apply a critical thinking filter to everything you see. For schools, remember the best internet filters are the one’s we help students install in their own heads. Let me know how it goes if you use any of these ideas in your classes. 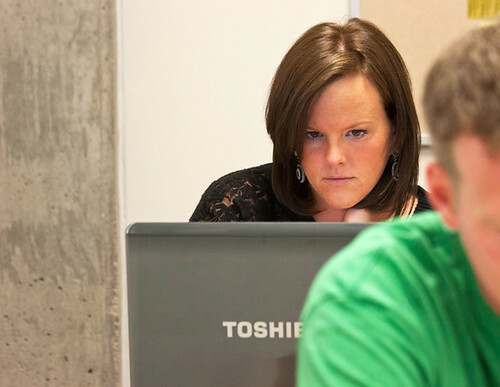 Are Laptops Really Bad For Learning? A study was recently published in the Journal of Psychological Science and subsequently reported on in The Atlantic, Scientific American, The Association for Psychological Science, several educational blogs, The Washington Post, and elsewhere online. The study is titled: The Pen Is Mightier Than the Keyboard: Advantages of Longhand Over Laptop Note Taking. The general consensus seems to be that people learn more effectively when taking notes using pen and paper rather than laptops. 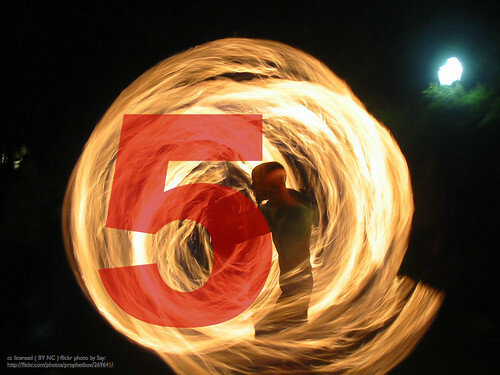 • Watch 5 TED Talks on YouTube. • Take notes with either a laptop or pen and paper. 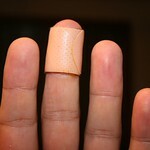 • Afterwards participate in distracting activities in another room for 30 minutes. • Take a quiz on the content of the TED Talks. Pen and paper note takers did slightly better at factual recall, significantly better on conceptual questions. The laptop note takers took more notes (they transcribed more content) than those using pen and paper (they summarized & synthesized more content). 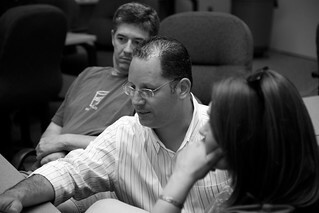 The research on note-taking suggests "more notes" is a sign of more effective note-taking, however, verbatim transcription is a sign of shallow cognitive processing compared to summarizing and synthesizing. The same set up as Experiment 1 with one change. Laptop note-takers were alerted to the shallow cognitive processing associated with transcription style note-taking and told to avoid it. They were also told to take notes as they would in a classroom. The results were the same: more notes taken by people using laptops, pen and paper note-takers did better on the follow up quiz. Again, the same set up. And again, with one difference. Since people typically review their notes before taking a test students were given 10 minutes to review their notes before taking the follow up quiz. Again, more notes were taken by people using laptops. Pen and paper note-takers did better on the follow up quiz. IS THAT WHAT THE RESEARCH SAYS? The study does show that using a laptop is highly correlated with verbatim note-taking; we know that's not an effective way to take notes as opposed to summarizing and synthesizing. John Jones, Assistant Professor of Professional Writing and Editing at West Virginia University, also points out a problem with the instructions given to students in the second experiment. Namely, that students were told to take notes as they typically would in class when using a laptop. The warning against verbatim note-taking may have been ignored in the face of the students falling back on what they typically would do with their laptops. It's unlikely their note-taking habits would have been changed by a brief verbal warning in an unfamiliar learning situation. In the same way learning to ride a bike and learning to drive a car require different learning experiences using different learning tools also requires different learning experiences. Students don't automatically know how to take notes; it's a learned skill, one we have to teach. I am not criticizing Mueller and Oppenheimer's research, only the implications they draw from it. The correlation between laptop use and verbatim note taking is incredibly useful information for it allows educators to address how students use their tools. It certainly does not suggest that laptops are "harm[ful]" or should be restricted. The "pen" is not "mightier than the keyboard." Moreover, we have to ask, is taking notes in a lecture hall what we mean by "learning"? 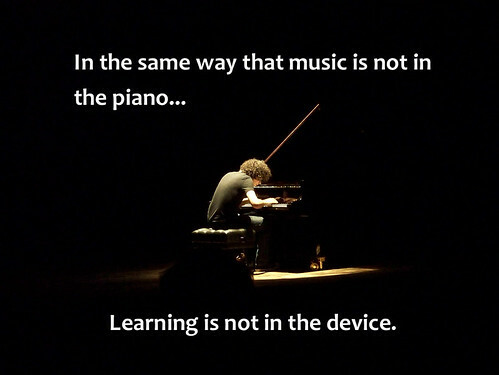 Surely what we mean by "learning" is a far richer experience than that. 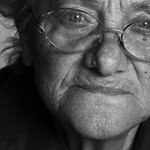 Cathy N. Davidson, Professor of Interdisciplinary Studies at Duke University, has more to say about this study as well. In particular, she says people are asking the wrong question. What do you think? What do you mean by "learning"? Cross posted at the Canadian K12 Blueprint. What are some concrete and powerful pedagogical approaches you can leverage in a 1-to-1 or BYOD teaching environment? What sort of practices shift the focus of teaching and learning from Lower Order Thinking Skills (LOTS) to Higher Order Thinking Skills (HOTS)? That might be a million dollar question, with many answers. Nothing works all the time, but everything works sometimes; successful learning is largely context dependent. The real question we need to ask is: "What works best in my context'?" The slide deck below illustrates five concrete teaching practices that may be helpful in answering these questions. They grew out of several workshops I've lead with teachers discussing emerging practices in BYOD classrooms for encouraging teaching HOTS. It may be difficult to hit on all five ideas in every class you teach, and there will always be a place in our classrooms for teaching LOTS too. Nonetheless, having these rules of thumb knocking around in the back of your head can help create learning experiences for your students focused on HOTS. This is sometimes described as "personalized learning". Both the Alberta Initiative for School Improvement (AISI) and the British Columbia Education Plan discuss and share resources for personalizing learning. When students know their work is being seen by an audience beyond the classroom it encourages them the "up their game" a bit and do better work. Be aware that there are two sides to this coin; one positive (Social Facilitation) and one negative (Social Inhibition). Find ways to have your students collaborate on group worthy tasks. A group worthy task has two seemingly contradictory components: It both requires interdependence amongst students and individual accountability. Giving effective feedback is hard. Dylan Wiliam says: "Feedback should cause thinking." When you orchestrate feedback for your students from sources outside your classroom you also weave in the effects of many of the other rules of thumb mentioned above. 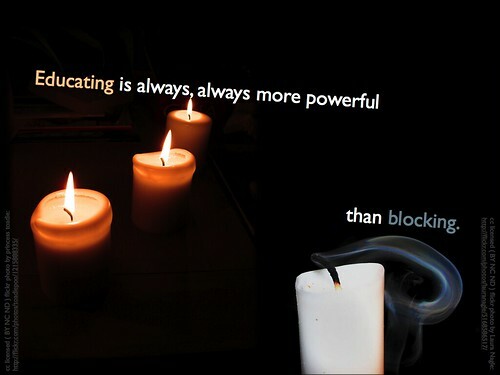 Teaching something is one of the most powerful ways to learn that something. As teachers, we all know that "knowing a thing" and "teaching a thing" is not the same thing. Find ways for your students to teach what they've learned from you to others. If they do that online they are also making a contribution to the global knowledge commons. Have you used any of these ideas in your own classroom? What was that like? Leave me a comment and let me know.